We took a day and a half to drive down to Gainesville, Georgia. Along the way we passed through 12 of the 14 states the AT passes through (we missed Vermont & Tennessee). 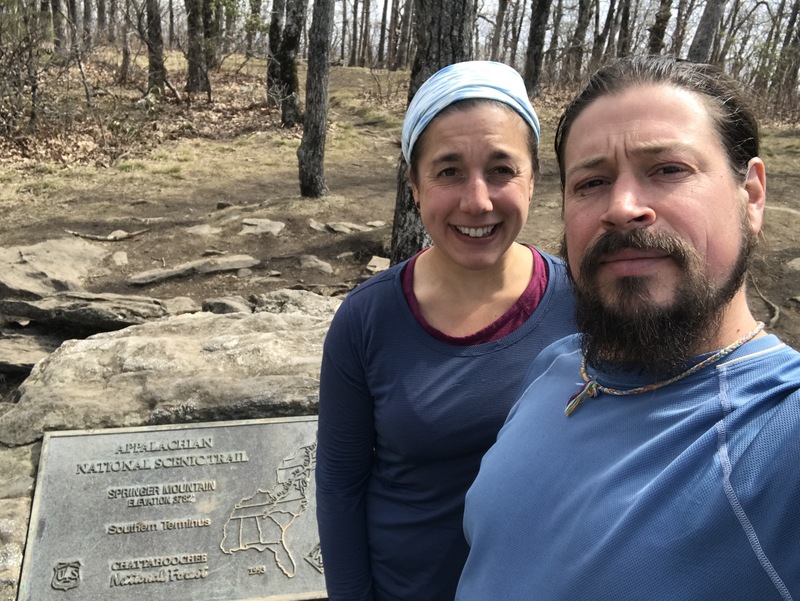 We picked-up dinner at the grocery store, returned our rental car, and met our pre-arranged ride for the last 30 miles to Amicalola Falls State Park. We had originally planned to camp by the beginning of the approach trail, but due to the University of Rhode Island making it into the NCAA tournament (Go Rhody!) we decided to stay at the lodge in the park instead so that we could watch the game. 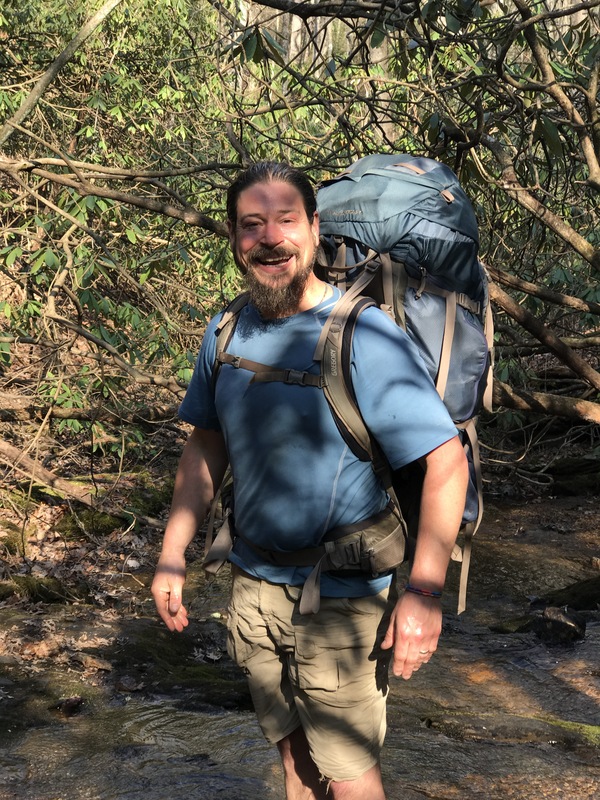 Sadly, they lost, but at least we had a good nights sleep before our first day on the AT. Unlike the PCT, you cannot drive to the southern terminus. 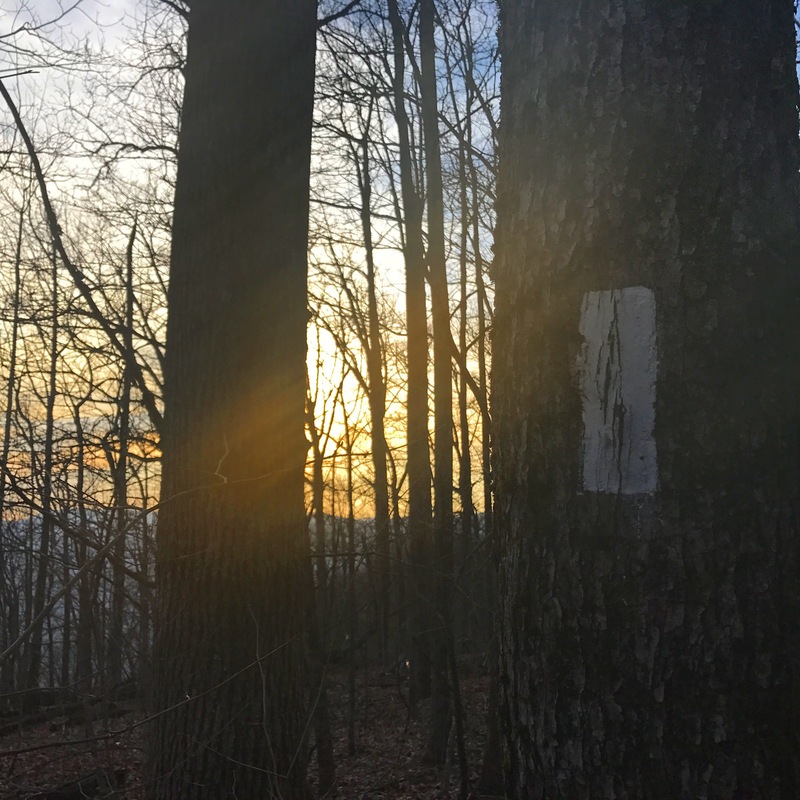 Hikers are left with the option to drive a mile north of the summit of Springer Mountain, then hike that mile heading south on the AT. Once they get to Springer, they snap a few photos, and then generally turn around and retrace the mile they just hiked. 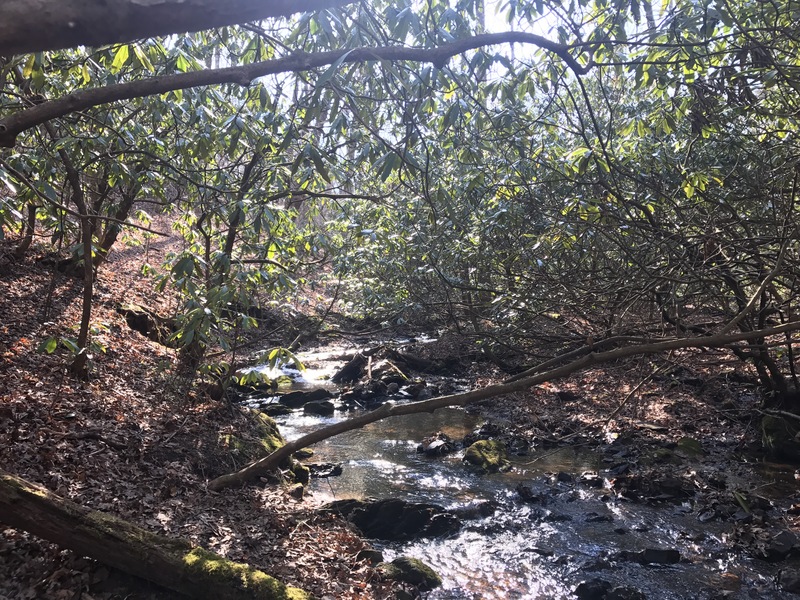 The other option is to hike the Approach Trail, which is a 8.5 mile hike from the bottom of Amicalola Falls to the top of Springer Mountain. When hiking this way, you don’t step foot on the AT until Springer Mountain. Like most things, hikers can be very opinionated as to the right way to do it. Garrett prefers the later, I really don’t care, so we planned to take the Approach Trail. Our shuttle driver recommended the Len Foote Trail instead of the Approach Trail, because there is more water, and there are less ups and downs. For some reason, we thought he also said it was shorter, so we took that instead. It ended up being 2.2 miles longer, but we didn’t mind too much! It was something new for Garrett, and I was just happy to be out there. The first day went well, lots of ups and downs, but nothing too challenging. We decided to stop and cook dinner early, then continue hiking. I joyfully ate my hot pesto spiral pasta, then it was 4 more miles to Cooper Gap. Along the way we went over Sassafrass Mountain, which I think is an excellent name for a mountain. The next morning we started later than usual, on account of adjusting to camping again and a later sunrise than in Maine, and started hiking around 9am. The second day always seems harder than the first, but we still felt like we had another twenty mile day in our legs. We came across some trail magic at Woody Gap, and chose apples to accompany or lunch. We had a man offer us a beer earlier in the day too, but we haven’t been on the trail long enough to justify or want a morning beer! If he had had a Gatorade, it would have been another story, as it was hot and humid all day. All the humidity built up, and around 530pm severe thunderstorms rolled in with heavy rain, hail, the whole bit. We managed to quickly set up our tent and dive in, and waited out the storm to cook some dinner later. We got lucky and had a 20 minute break in the rain to cook dinner, but then it started up again. Had it not been for the rain we could have gone farther, but a forced break is probably good for our feet; they’re still getting used to this idea of waking back to Maine. I think Sassafrass Mountain is an excellent name as well! We’ve now passed a Sassafrass Gap, too!